I love the sesame chicken you can find at many American Chinese restaurants, such as P.F. Chang's. Sadly, it doesn't love me, so I decided I would make a version that isn't battered and deep fried. This version is baked, so it isn't exactly like the kind from the restaurants. 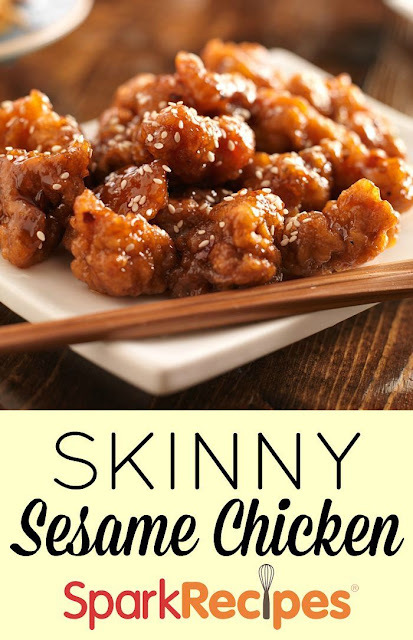 But, I think it's a good substitute for when you're really craving some sesame chicken!